1. WHY DID YOU APPLIED FOR THIS JOB? WHY ARE YOU SO INTERESTED IN THIS JOB? YOU SHOULD NOT ANSWER IN THIS WAY : Every candidate who is generally prepared for the canned answers usually answers that I can learn more from this job and this job will help for my growth in my career……please don’t answer in this way. YOU NEED TO ANSWER LIKE THIS: It is better to answer this question in the way that is beneficial for the firm like for example explaining you strengths, qualifications and how you are suitable for the job etc so that is the reason you applied for the job. YOU SHOULD NOT ANSWER IN THIS WAY: I don’t have any weakness.2. I can’t tolerate stress ,this type of answers should not be answered in the interview because if the job you applied is stress oriented job then you may not get the job for sure. YOU NEED TO ANSWER LIKE THIS: Each and every person will have weakness I too have weakness like I usually wake up late in the morning, I do go for movies during night etc and the reasons should not impact on your job. 3. WHAT ARE YOUR VICTORYS IN YOUR LIFE? YOU NEED ANSWER LIKE THIS: you need to answer the question by stating the recent victory’s in your educational career like for example I have won 1st prize in National wide essay competition during my PG etc. So my point is to state the recent victories rather than old one and also tell the recruiter how you planned for reaching that victory. 4. WHY ARE YOU LEAVING YOUR PRESENT JOB? YOU SHOULD NOT ANSWER IN THIS WAY: you should not answer that the working environment in your present firm is not good, my subordinates are not good or my salary is low. This type of answers may create a negative impact on you. YOU NEED TO ANSWER LIKE THIS: Though this reasons are true you should not answer frankly and also you have not gone for the interview to discuss you problem in the present firm you are working and remember you have gone there for search of new job so your answer should be this job will be secured for your future and also praise the organization environment if you know clearly. 5. THE RECRUITER MAY SAY THAT EXPERIENCE WE ARE EXPECTING FROM THE CANDIDATE IS NOT THERE FOR YOU? YOU SHOULD NOT ANSWER LIKE THIS: you should not show fear or don’t say that I will learn after getting job etc…..This answers will not always benefit for you. YOU SHOULD ANSWER LIKE THIS: Though I don’t have the experience you are needed I have the confidence that I can handle the job successfully and also state the strengths, qualifications of you to successfully handling the job. Tell any experience that how you quickly learned any new course..etc this will help the recruiter about your fast grasping power. 6. THIS IS THE MOST COMMON QUESTION AND IMPORTANT QUESTION THAT IS RECRUITER WILL ASK YOU “DO YOU LIKE TO ASK ANY QUESTIONS”? YOU SHOULD ANSWER LIKE THIS: you can ask the recruiter about your job role in the firm after joining ? what could be your responsibilities? you can ask the working environment? By this answers the recruiter can think that you have interest towards the job. So, be careful while you answer this simple questions because they may become an obstacle for your job so answer smartly. 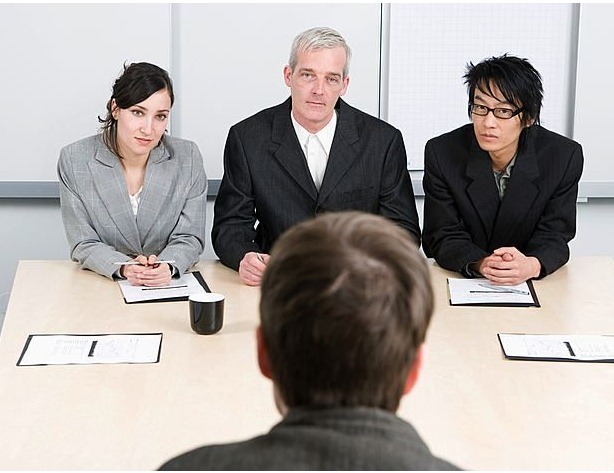 The above are the few job interview tips to grab the job successfully. So I wish you All the Best. How to face the Technical Round in the interview?